Poets: Adam Zagajewski. Aleda Shirley. Anne Carson. Arthur Sze. The Beowulf Poet. Billy Collins. Billy Collins exercise. Jack Gilbert. Jane Hirshfield. Jean Vengua. J. Zimmerman. J. Zimmerman (haibun). J. Zimmerman (haiku). J. Zimmerman (tanka). Len Anderson. Les Murray. Li-Young Lee. Linda Pastan. Louise Glück. Mary Oliver. Nordic Skalds. Pulitzer Poetry Prize (U.S.A). Richard Hugo. Robert Bly. Sappho. Sara Teasdale. Sharon Olds. Shiki (haiku). Snorri's Edda. Stephen Dunn. Books of Poetry (alphabetical). Prose. Editing. Time Line. Books. Best American Poetry: 2009 (guest editor David Wagoner) with "Red". Best American Poetry: 2006 (guest editor Billy Collins) with "The Poet with His Face in His Hands". Best American Poetry: 2000 (guest editor Rita Dove) with "Work". Best American Poetry: 1999 (guest editor Robert Bly) with "Flare". Best American Poetry: 1993 (guest editor Louise Glück) with "Poppies". Mary Oliver's tone relies heavily on the ecstatic and the shamanistic, on the throwing of her consciousness into various of the birds she writes about, and returning to her page to tell us what they feel and think. Use of the pathetic fallacy is so heavy that sometimes it is gushy, predictable, routine, and boring. She is more successful (as in examples below for Owls and Other Fantasies) when she gives herself distance as an observer and metaphor maker. Blue Iris: Poems and Essays (2004). Leaf and the Cloud, (The) (2000, prose poem). New and Selected Poems Volume One (1992). New and Selected Poems Volume Two (2005). No Voyage and Other Poems (1963, first edition; 1965, expanded edition). Owls and Other Fantasies: poems and essays (2003). River Styx, Ohio, and Other Poems, (The) (1972). West Wind: Poems and Prose Poems (1997). What Do We Know (2002). White Pine: Poems and Prose Poems (1994). Why I Wake Early (2004). Quite good in parts. The usual Oliver controlled ecstatic. Between the earth and man arose the leaf. Between the heaven and man came the cloud. His life being partly as the falling leaf, and partly as the flying vapour. Her tone relies heavily on the ecstatic and the shamanistic, on the throwing of her consciousness into various of the birds she writes about, and returning to her page to tell us what they feel and think. Use of the pathetic fallacy is so heavy that at times it is predictable, routine, and boring. "Sometimes", a multi-part poem starting on p. 35, and whose 4th part has these marvelous "Instructions for living a life:"
61 poems (one poem is "Eleven Versions of the Same Poem" but the book jacket includes each version in the count) in a single section. 78 pages; about 1.3 pages per poem. 14 (23%) of the poems are written in a single stanza. 3 poems in 2-line stanzas. 8 poems in 3-line stanzas. 13 (21%) poems in 4-line stanzas. 22 (37%) poems in stanzas of variable (but usually six or fewer) lines. 15 (25%) poems take more than one page. The poems refer in traditional ways to the Christian God. 5 of the poems in a convenience sample of the first 10 poems in the book have such references: God, God-fearing, Lord-love, Maker of All Things, and the afterlife. Sight mentioned/implied on average 0.9 times per poem. Touch on average 0.8 times per poem. Sound on average 0.5 times per poem. Smell on average 0.4 times per poem. Taste on average 0.3 times per poem. Dedication: "For Molly Malone Cook (1925-2005)". 43 poems in a single section with one poem in an epilogue. 67 pages; about 1.6 pages per poem. 1 poem written in a single stanza. 1 poems in 2-line stanzas. 3 poems in 3-line stanzas. 12 (28%) poems in 4-line stanzas. 23 (53%) poems in stanzas of variable (but usually six or fewer) lines. 16 (37%) poems take more than one page. The poems refer in traditional ways to the Christian God. 2 of the poems in a convenience sample of the first 10 poems in the book have such references: God, dear God, the capitalized 'His'. Sight mentioned/implied on average 0.8 times per poem. Sound on average 0.6 times per poem. Smell on average 0.3 times per poem. A pretty good collection in the now-familiar Mary Oliver voice. p. 61. "In our woods, sometimes a rare music"
p. 67. "On traveling to beautiful places"
p. 69. "The man who has many answers"
36 poems in a single section, each poem starting on an odd page, which leaves a blank facing page for every poem preceded by an odd-number-of-pages poem (26 blank pages in all). This gives the poems an appearance of usual grandeur and spaciousness. 77 pages — but there are 51 pages if we exclude the blank pages, which gives about 1.2 pages of text per poem. one boot to another—why don't you get going? Part two is the 13-section poem "West Wind" with 8 of the sections being prose poems. Part three is a multi-stanza 5-section poem "Have You Ever Tried to Enter the Long Black Branches". An ok book. A significant portion are prose poems. 47 poems in two sections: 30 in the first section and 17 in the second section. 67 pages (excluding blank pages and boiler plate); about 1.4 pages per poem. 5 (11%) of the poems are written in a single stanza. 0 poems in 2-line stanzas. 0 poems in 3-line stanzas. 16 (23%) (11 and 5) poems in 4-line stanzas. 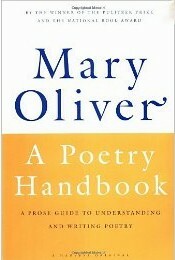 28 (53%) (14 and 10) poems in verse paragraphs of variable size (but usually seven or fewer lines). 18 (34%) poems take more than one page. Sight mentioned/implied on average in 1.0 poems. Touch on average in 0.9 poems. Sound on average in 0.7 poems. Taste on average in 0.3 poems. Smell on average in 0.2 poems. 1999: Winter hours: prose, prose poems, and poems. 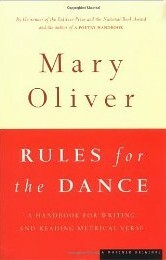 1998: Rules for the Dance: A Handbook for Writing and Reading Metrical Verse. Fifteen prose pieces on nature, writing, and herself. A concise and deft introduction to the craft and spirit of writing poetry. [T]he poem needs to be reliable. I cannot say too many times how powerful the techniques of line length and line breaks are. You cannot swing the lines around, or fling strong-sounding words, or scatter soft ones, to no purpose. A reader beginning a poem is like someone stepping into a rowboat with a stranger at the oars; the first few draws on the long oars through the deep water tell a lot — is one safe, or is one apt to be soon drowned? The free-verse poem sets up, in terms of sound and line, a premise or an expectation, and then, before the poem finishes, it makes a good response to this premise. This is the poem's design. What it sets up in the beginning it sings back to, all the way, attaining a felt integrity. [D]iction has several components — the sound of the word; the accuracy of the word; and its connotation — that atmosphere ... that is created by word choice. Just as the ellipsis, which is trying to imply a weighty "something" that has not been said but that the poet wants felt, is a construction of weakness, so too is the dangling phrase. The phrase with no verb — no action and no placement — is more apt to sink the ship than to float it. I write poems for a stranger who will be born in some distant country hundreds of years from now. ... I usually revise through forty or fifty drafts of a poem before I begin to be content with it. Other poets take longer. ... But this is the usual way: hard work, hard work, hard work. This is the way it is done. [T]he poem requires of the writer not society or instruction, but a patch of unbroken solitude. ... The poem, as it starts to form in the writer's mind, and on paper, can't abide interruption. ... To interrupt the writer from the line of thought is to wake the dreamer from the dream. The dreamer cannot enter that dream, precisely as it was unfolding, ever again because the line of thought is more than that: it is a line of feeling as well. ... An interruption into the writing of a poem is as severe as any break into a passionate run of feeling. I cherish [a sentence] ... by Flaubert. I came upon it among Van Gogh's letters. It says, simply, "Talent is long patience, and originality an effort of will and of intense observation." Use them if you need them but "never when it merely suits the marching orders of the meter". Part Two: The Dancers One by One. Part Three: Scansion and the Actual Work. Part Four: A Universal Music. Part Five: An Anthology of Metrical Poems. Very helpful, taking the last half of the book. Part One: Essays and Poems. What is autobiography anyway but a story rich and impossible of completion -- an intense, careful, expressive, self-interested failure? In this universe we are given two gifts: the ability to love, and the ability to ask questions. Which are, at the same time, the fires that warm us and the fires that scorch us. This is Poe's real story. And it is ours. ... [But] the later poems -- beginning with the volume West-Running Brook, say -- less commonly have that sense of a private man working at the conflicts in his life... The poems become, in the later books, entertainments and pronouncements. ... despair, wed to fortitude[,] ... is the dense emotion at the center of Frost's work. ... He could not hear the trill of the trees without the cry of the roots. In the lyrical poems of Robert Frost there is almost always something wrong, a dissatisfaction or distress. ... We are hearing two different messages: everything is all right, say the meter and the rhyme; everything is not all right, say the words. ... He writes about our own inescapable destiny. [A] poetry of rapture and pain, of the perfection of God and the awkwardness and imperfection of the poet. [H]is was a sensibility so passionate, so affirmative and optimistic, that it is fair to speak of him as writing out of a kind of hovering mystical cloud. ...	"Song of Myself" is sprinkled with questions ... More than sixty questions in all, and not one of them easily answerable. Nor, indeed, are they presented for answers, but to force open the soul. ... It is supposed that a writer writes what he knows about knows well. It is not necessarily so. A writer's subject may just as well, if not more likely, be what the writer longs for and dreams about, in an unquenchable dream, in lush detail and harsh honesty. ...	His message was clear from the first and never changed: that a better, richer life is available to us. ... his methods are endlessly suggestive rather than demonstrative, and ...	their main attempt was to move the reader toward response rather than reflection. ...	Brawn and spirit, we are built of light, and God is within us. This is the message of his long, honeyed harangue. Part Three: Intermission of prose poems. Some tiny fragments, grouped as "Sand Dabs". A longer prose poem (or essay?) on observing a spider hatch three broods and capture a cricket. In the act of writing a poem ... [w]hat I hear is almost a voice, almost a language. It is a second ocean, rising, singing in one's ear, or deep inside the ears, whispering in the recesses where one is less oneself than a part of some single indivisible community. Blake spoke of it as taking dictation. I am no Blake, yet I know the nature of what he meant. Every poet knows it. One learns the craft, and then casts off. One hopes for gifts. One hopes for direction. It is both physical and spooky. ... the first act of writing, for me, involves nothing more complicated than paper and pencil. The abilities of a typewriter or computer would not help in this act of slow and deep listening. The essay ("Building the House") first appeared in Shenandoah and was reprinted in The Best American Essays 1990. Editor for 2009 issue (series editor Robert Atwan). 187 pages, 22 essays, some as small as 2 pages; mean page length of 8.5 pages per essay. Pretty good collection thought many of the choices seem rather close to the editor's style. Sue Allison's prose-poem scant-page essay "Taking a Reading" (names of measurements). Brian Doyle's 2-page "The Greatest Nature Essay Ever". Amy Leach's "You Be the Moon" (even if it's a little over-exuberant in its tropes). Jill McCorkle's "Cuss Time" (one of the of wisest parental essays). Jerald Walker's "The Mechanics of Being" on living with his two blind parents. Published No Voyage and Other Poems (1963, first edition; 1965, expanded edition). Published River Styx, Ohio, and Other Poems, (The) (1972). Published Night Traveler, (The) (1978). Published House of Light (1990). Published New and Selected Poems Volume One (1992). Published White Pine: Poems and Prose Poems. Published West Wind: Poems and Prose Poems. Published Rules for the Dance: A Handbook for Writing and Reading Metrical Verse. Published Winter hours: prose, prose poems, and poems. Published Leaf and the Cloud, (The) (2000, prose poem). Published What Do We Know (2002). Published Owls and Other Fantasies: poems and essays (2003). Published Why I Wake Early (2004). Published Blue Iris: Poems and Essays (2004). Published New and Selected Poems Volume Two (2005). Edited Best American Essays: 2009. Published poetry book: A Thousand Mornings. Books of Poetry Form. Alphabetic list of poetry forms and related topics.